Steven E. Chick, CFP®, is a Financial Advisor at his independently owned financial planning practice. 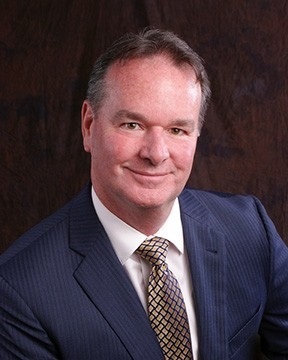 He has been in the industry since 1989 and specializes in retirement income planning, business succession and transfer planning, key employee retention planning, and protecting families in the event of a death of disability. Steven holds his Series 6, 7, 63 and 66 securities licenses, along with his CERTIFIED FINANCIAL PLANNER™ professional certification. His dedication to his work is evident not only in his background and education, but in the genuine enjoyment he experiences when he is serving the best interest of his clients. When he isn’t helping business owners and individuals navigate change and solve complex financial issues, Steven enjoys fly fishing, walking his dog and anything that involves the great outdoors. His ethics and integrity mean everything to him, and he can’t imagine doing anything other than what he does as a financial advisor.